With sadness in our hearts, we announce the passing of Lyle Hubert Gray at the age of 99 years. Lyle is survived by his sister, Lois Hammill, very special ‘adopted’ grandchildren, Dawn, Serena, Jake, Josh and their families, and lovingly remembered by many nieces and nephews, their families and many friends. Lyle was predeceased by his first wife Pearl and their infant daughter, his second wife Carolyn and siblings Nellie, Myrtle and Vern. Lyle served our country in the Armed Forces during WWII, stationed in many European locations. Upon his return from the war, he resided in Regina, SK where he operated a landscaping business and, later with his wife Pearl, operated a motel and mobile home park as well as an art gallery. Lyle retired and moved to Kelowna, BC in the early 90’s and, on March 15, 1997, married Carolyn. 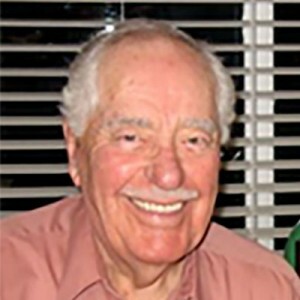 Lyle enjoyed many activities throughout his long life, including gardening, curling, dancing and community service. He was a compassionate and loving person, always willing to lend a hand and offer support to anyone in need. His love of life and family was always evident, and his wonderful caring nature and beautiful smile will be missed dearly. A special thank you to staff at Kelowna General Hospital and Lakeview Lodge for the loving care provided to Lyle in his final days. Cremation will take place at Springfield Funeral Home and a Celebration of Life will be held in Kelowna at a later date, details to follow.